WWE 205 Live Recap - Final 205 Live of 2017! It's time for another episode of 205 Live on the WWE Network! 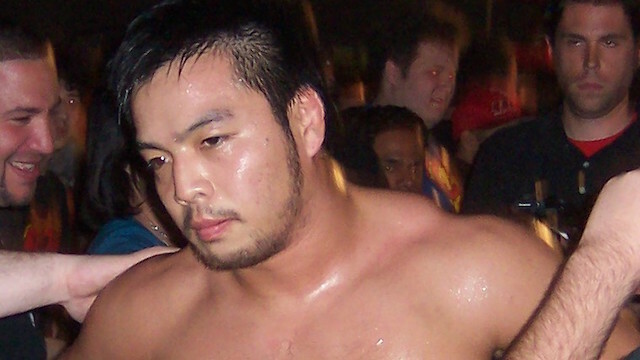 Last week was the long-awaited debut of Hideo Itami to the cruiserweight roster. Next week on Raw, Cedric Alexander challenges Enzo Amore for his Cruiserweight Championship. This is the final episode of 205 Live in 2017. What will the cruiserweight division have in store for the last show of the year? Hit F5 or refresh for the latest updates while the show is in progress! With 2018 right around the corner, Cedric Alexander has momentum on his side when he faces Enzo Amore for the Cruiserweight Championship on New Year's Day next Monday night. On 205 Live last week, he got the win over Drew Gulak much to Enzo's chagrin. Backstage, Gulak is in the locker room holding his phone when Alexander shows up to ask what he is doing. Gulak mentions that Enzo isn't here tonight, but is waiting for his call. Alexander enjoys having peace and quiet with no Enzo around. He wants to envision 205 Live without Enzo Amore as Cruiserweight Champion, and even tries to convince Gulak that that could mean "a better 205 Live." Tonight, Tony Nese is in action as the commentators ponder his state of mind after being ousted from The 'Zo Train. Speaking of The 'Zo Train, Gulak and Daivari will take on Cedric Alexander and Mustafa Ali. But first, Hideo Itami makes his way to the ring. Last night on Raw, Itami made his singles debut against The Brian Kendrick and defeated him with a precise Go To Sleep. Kendrick suffered a orbital and nose fracture from the move. Tonight, Kendrick's ally will face Itami. Gallagher: "Mr. Itami, last night I learned that you are no stranger to a little bit of cruelty. You took your educated knee and drove it to the skull of The Brian Kendrick. From ringside, I could hear his bones fracture. As a lesson, I will take great pleasure in front of these Chicago pillocks. Cruelty knows no bounds." They lock up Greco-Roman style, Gallagher backs him to the ropes and slaps him. Itami slaps him back, running knee to the midsection, kick to the back, shouts "Respect me!" and does a snapmare followed by a couple of kneedrops. He takes his kneepad down, fakes a kneedrop and kicks him in the head. Gallagher goes for a move, Itami kicks him off, kicks him while he's in the ropes, then does a diving legdrop to the back of the head. Gallagher tries to crawl out the ring, Itami grabs him, Gallagher ducks a head kick, rolls out the ring, Itami reaches for him, Gallagher pulls the ring apron skirt tripping Itami and stomps on him. Gallagher knees him in the back twice then puts him in a twisting neck hold. Itami gets to his feet but Gallagher keeps the offensive pressure going and taunts the crowd in the process. He kicks Itami down in a corner, puts him in a cravate, snapmare, face stomp, taunts the crowd again, gets a 2-count, then puts him in a chinlock. Itami makes it back up, Gallagher throws him back down, Itami goes for a backslide, Gallagher kicks out at 2, Itami catches his leg and does a dragon screw leg whip. Itami clotheslines him two times, spinning kick, fisherman's suplex, Gallagher elbows him, Itami sticks a boot up in a corner, tornado neck snap on the top rope, flying clothesline from the top rope, covers and gets 2. Itami hits combo strikes finishing with a spinning back fist, Gallagher drops him on the ropes, does the reverse snapmare and uses Kendrick's Captain's Hook! Itami grabs the bottom rope to force the break, Gallagher goes for a butterfly suplex, Itami counters with a back drop, spinning back fist, hesitation dropkick in a corner, spins him down and locks in the Rings of Saturn with a leg wrapped around his head, and Gallagher taps out. WINNER: HIDEO ITAMI. We go back to 205 Live two weeks ago where Enzo Amore gave "a learning experience" to Tony Nese. Afterwards, Dasha interviews Nese asking him if he considers himself a member of The 'Zo Train. Nese tells her the next time he sees any of The 'Zo Train members part of him wants to lay them out, but he also understands that Enzo is a global superstar. "The money, the fame, my career has only gone up since I joined The 'Zo Train." Dasha asks him what is he going to do. Akira shows up smiling to ask him if he is on the train or off the train, so Nese sucker punches him. Tozawa kicks him at the bell and punches him, but then Nese drops him with a running elbow and stomps on him. Tozawa with a chop, Nese with a chop, Tozawa chops him back, Nese chops him, Tozawa fakes a chop and jabs him. Tozawa rolls through a sunset flip, running kick to the chest, jumping cannonball, goes for a suicide dive but Nese kicks him in mid-air. Nese stomps on him on the floor, poses, throws him back into the ring, covers for 1, legdrop, another legdrop, jumping legdrop, covers for 2 then puts him in a neck lock until Tozawa reaches the bottom rope. Tozawa starts to fight back, Nese drops him again, hard Irish whip to a corner, covers, 2-count, drags him to the middle of the ring and applies a body scissors with a headlock. Tozawa makes it back to his feet, gets fired up, Nese punches him down and mocks him, but then Tozawa counters with a suplex. Tozawa knocks him off the apron, gets fired up, hits the suicide diving headbutt, throws him back in the ring and gets a near-fall. Nese blocks a German suplex, catches his leg, counters into a pumphandle sit-out powerslam and gets 2.5! Tozawa fights back with forearms, Nese hits his own forearm, Tozawa boots him in the jaw, Nese with combo kicks, Tozawa jumps over the legsweep, Nese rolls him up for 2, Tozawa with a spinning kick to the head, goes up top, but Nese hits a jumping palm strike, pulls him off the top down to a seated position in the corner, pulls down his kneepad and hits the Running Nese for 3! WINNER: TONY NESE. We're told that right now Enzo isn't here because he is defending his Cruiserweight Championship in Madison Square Garden, but rumor has it that he has a "date" tonight. We get a clip from Raw last night where he almost kissed Nia Jax under the mistletoe before getting distracted by Alexa Bliss. The tag team main event match is up next! The 'Zo Train heads to the ring first. Gulak: "Thank you. Hello, my name is Drew Gulak, how are YOU doing? This is my partner for tonight, Ariya Daivari, and we represent the entity known as The 'Zo Train. Ladies and gentlemen, another year has come to a close and it a time for us to reflect. Not just on the bad, but on the good, and a good way to do that is a Best Of list. I think it's time for us to review the best of my slides, in the form of myyyyyyyyyyyyyyyyyyyyy... POWERPOINT PRESENTATION!! So please, turn your attention to the..." Cedric Alexander's music interrupts. Alexander: "Drew, I'm sorry to interrupt. But Mustafa, aren't we in your hometown of Chicago?! Now Drew, I know you did have a large presentation to get through, but Mustafa has some pretty valid points of his own to make." The crowd starts chanting Ali's name, so Gulak shouts "NO CHANTING!" Ali: "Drew, listen up. I have some points to go over. One being nobody here believes for a second that outside of The 'Zo Train you two would ever be friends. Right?" Alexander: "100% correct. Ariya, you're that guy who looks down on a blue-collar scrapper like Gulak. Are you really surprised Drew that he threw you under the bus to Enzo last week?" Ali: "Whoa, listen. In Ariya's defense, Drew Gulak is always stealing his spotlight with his PowerPoint Pesentation. I mean, Ariya, come on man. Don't you remember, you used to be Enzo's right-hand man, and all that changed when Captain Underpants here showed up." Alexander: "It seems like you two have been getting played all along, first by each other, then by Enzo. So when it really comes down to it, if Enzo had a choice between The 'Zo Train and Nia Jax, who do you think he's really gonna choose?" Daivari and Ali start the match, they lock up, Daivari backs him to a corner, punches him down, whips him across the ring, Ali floats over, does an armdrag and holds onto the armbar. Daivari gets back up, Gulak tags in, kicks him in the gut, Ali fights back, Gulak with a knee to the midsection, Ali reverses an Irish whip, and gives him a back body drop. Alexander tags in, double hiptoss, Alexander covers for a 1-count, puts him in an armbar, Gulak escapes, Alexander gives him a back body drop and covers for 1. Ali tags back in, double double foot stomp from the top to the arm, chop to the chest, Gulak puts his head down, Ali kicks him, Daivari with a distraction and Gulak clotheslines him from behind. Daivari tags in, beats him down, hits a neckbreaker, gets a 2-count then puts him in a chinlock. The crowd chants Ali's name, he gets to his feet, fights out of the hold, Daivari prevents him from making the tag, delivers a spinebuster and gets a near-fall. Gulak tags in, Ali lands on his feet from a double back suplex and he makes the blind tag. ALexander flies in with double dropkick, hits a hard back elbow, goes for the handspring but Daivari trips him up, and Gulak kicks him out the ring. Daivari gets the tag, beats him up outside the ring, brings him back in, covers for 2, Gulak tags back in, stomps on him, 2-count, Alexander reaches for the tag, Gulak pulls him away, throws him out the ring and has the referee distracted. Daivari stalks him, but the referee catches him, Alexander fights back against Gulak and hits a springboard flatliner! Ali gets the hot tag, knocks Daivari down, Irish whip reversed, pop-up dropkick, kips up, and delivers a corkscrew plancha to the floor! Ali throws Daivari back in, does the slingshot rolling facebuster, Gulak breaks the count and knocks Alexander off the apron. Daivari kicks Ali in the back, sets him up backwards on the top rope, goes up behind him, but Gulak stops him telling him that it's a No Fly Zone, and Alexander comes up from behind to hit Gulak with the Lumbar Check! Ali knocks Daivari down, resets his positioning, hit sthe 054 SPLASH and gets the 1-2-3!! WINNERS: MUSTAFA ALI and CEDRIC ALEXANDER. Alexander gets his match for the Cruiserweight Championship on New Year's Monday, but tonight he celebrates his victory with Chicago's own Mustafa Ali. That's all for 205 Live!